Sandra Lass, 69, of DeWitt, Iowa, passed away unexpectedly Wednesday, November 21, 2018, in her home. Sandra Jean Lass was born March 19, 1949, in Clinton, Iowa, to Marvin and Dorothy “Jean” (Howson) Doescher. She graduated from Central Community Schools in DeWitt. Sandy worked as a secretary for Auxi Health/Girling Home Health Care in DeWitt. She also worked for Kid’s Business. Sandy was a proud member of the Red Hat Society. 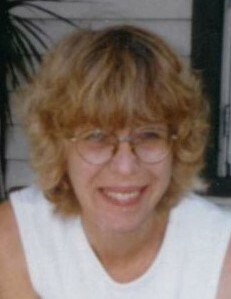 She was an avid reader, enjoyed collecting pigs, cross-stitching, watching westerns, and gardening with her grandkids. She is survived by her sons, Bob Lass of Dubuque, Bryan Lass of Charlotte, and Brad Lass of DeWitt; grandchildren, Sean, Shelby, Kevin, and Taylia; brothers, Gary and David Doescher; aunts and uncles; nieces and nephews. Memorial Visitation will be from 1:00 until 2:45 p.m. Thursday, November 29, 2018, at Schultz Funeral Home, DeWitt. A Memorial Service will follow at 3:00 p.m. in the funeral home.